Royal Wheels India is an adventure travel group organising Daman and Diu Beaches Tour Packages. The small yet important union territory attached to the vibrant state of Gujarat is Daman Diu. The small city is known for its beauty and beaches. The Beaches of Daman Diu are less in number still significant enough to pull the tourist traffic. Beaches of Daman Diu which are quite popular include Nagoa Beach and Devka & Jampore Beach. Hereunder we are giving the stuff related to the Beaches of Daman Diu for your memorable Indian trip. A palm-fringed, largely deserted and secluded beach, Nagoa is undoubtedly one of the mostbeautiful beaches in India. Just twenty minutes refreshing drive from Diu will bring you to Nagoa Beach which with a stretch of about 2 Km from one end to another is exceptionally beautiful .The unique shoe-shape of the beach makes it more beautiful. A swim in the water of this unspoilt virgin beach is most refreshing one. 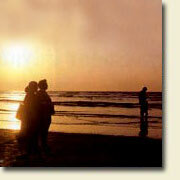 Devka is a beautiful and unspoilt beach with a long shore-line situated in the northern part of Daman. There is also a popular amusement park on the beach with multi-coloured fountains. Situated in the southern part of Daman near the Gujarat border, Jampore is the right place for a quiet holiday. The broad and even beach line complemented by the undisturbed solitude and serenity makes Jampore a paradise for the sea-lovers. 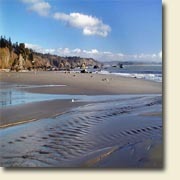 The shore is most suited for swimming as it is danger free. The department of Tourism has also provided sun-shades, picnic platforms and benches near the beach.